About Ismail E. Message Ismail E.
Overnight at the Blue City of Chefchaoune. My wife and I had a pleasant and informative tour with Ismail. He was knowledgeable, engaging and very relaxed. We have have previous tour guides who were non-stop chatterboxes, so we appreciated his easy going conversational style. He was willing to tailor the tour to our liking and we skipped a bit of the souks and markets since we aren't shoppers. Otherwise Ismail took us to all the places he specified in the booking. Marrakech is a wonderful city, and if you go we would highly Ismail for this tour!! Ismail was fantastic. Was very flexible and catered to our needs whilst providing insights throughout our walking tour. Ismail is a quiet and gentle person who answered the many questions we asked in typical Moroccan style. His love of southern Morocco was abundantly clear. He gave us the opportunity to see and do things we never would have been able to do. The hike and guide in the monkey fingers was one of the highlights of our trip. All of the accommodation he booked for us was wonderful. He actively tried to find us off the beaten track things to do - fossils, fish farm, monkeys, camels, hiring local guides. TOUR GUIDE RESPONSE: You are such a great family.we have spent a wonderful 10 days trip together. TOUR GUIDE RESPONSE: Thank you so much for your visit. I am very surprised !! your expected more immersion about a lot of things in one.It a first time to happen to me that having a picture with my guests cause such a confusing feelings. I didn't mean anything or want anything toward your women or you. I hug all of you we finish our tour and very happy that everything ends well as it started.You seemed amused and happy !!! I apologize thousands of times if you didn't have fond memories of Toursbylocals as well as in this day. Ismail was a very good guide. He met us at our Riad and had a warm and welcoming personality, even after a long day traveling outside of Marrakesh to Ait Benhadou he still had a very positive attitude. We wish him continued success! TOUR GUIDE RESPONSE: Thank you Felecia! You too you have a very positive attitude even your friends allergy to the mountains road and the dust of the south. Our tour guide Ismail was excellent and was very knowlegable. We took a day tour of Marrakech and Ismail was able to tailor / customise it according to our request. We are a family of 4 and Ismail was very pleasant, patient and showed us around places where we would not have found ourselves. I would highly recommend Ismail. Thanks you Ismail. TOUR GUIDE RESPONSE: Thank you Hasan.I was very happy to be your guide, we have spent a very enjoyable day in Marrakesh. We spent a wonderful few days with Ismail and a driver going from Marrakesh to Fez, with a trip modified by Ismail to meet our individual needs. Ismail is friendly, with great knowledge about his country and speaks very good English. He generously showed us his family home and town, organised stops where ever we wanted and made us feel safe throughout the trip. We have no hesitation in recommending his services (and have already passed his name onto several others). TOUR GUIDE RESPONSE: Thank you so much for your visit. I was very happy to be your guide in Morocco.Great to hear that you made it home safe. 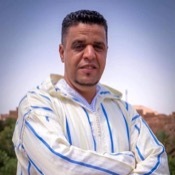 Ismail is a kind, generous, flexible and knowledgeable guide who will help you feel the real Morocco. You can meet his family, see the life's of nomads, and rural farmers. With him we saw the grand cities, trekked in the high Atlas, rode into the Sahara, and wandered tiny paths of oasis farms in gorges. Rooms in mostly riads were great, the SUV comfortable, the driver cautious. See the Medina, but be sure to leave the big city where Ismail will introduce you to the other people of Morocco. Unforgettable! TOUR GUIDE RESPONSE: Thank you so much Nolan for you visit. am so happy that you enjoyed you combine trip with me. Ismail was able to set up a 1.5 day tour of Marrakech exactly how I had requested - I wanted to walk the city, see the side streets, and stop by stalls and carts to try different foods. We did just that for hours and it was great. TOUR GUIDE RESPONSE: Thank you Stephanie for your visit. I really enjoyed to spend 1.5 day you. Ismail was a fantastic and informative guide, who worked with us to organise our itinerary. Very easy going and patient, and became very much part of the crazy family adventure through Morocco. His driver Mohamed was also excellent and the van was perfect. I'd thoroughly recommend them for any group or family wanting a personalised tour of Morocco! TOUR GUIDE RESPONSE: We have spent the best moments together while discovering my country.Thanks a lot for you visit. TOUR GUIDE RESPONSE: Thank you Saif and all the friends we have a lot of have fun.Thank you again for your visit. It was a long day but totally worth doing. Ismail was great - did not pressurize us for time. In fact he showed us a few extra attractions which were not part of the original itinerary. TOUR GUIDE RESPONSE: Thank you so much for your visit! Am really enjoyed the meet up with such great people like you..
We had a pleasant day trip to the Three Valleys of the High Atlas Mountains with Ismail and his driver Mohammed. The scenery is wonderful and you do get an insight into local life as you see the many small Berber villages nestled into the hillsides. Avec Ismael, J'ai eu la chsnce de connaître le sud du Maroc avec son désert de pierres et de sable au belles teintes souvent dominées par le rose, mais surtout de découvrir les greniers du Maroc, l'oeuvre d'un peuple, les berbères, qui ont su et pu exploiter toutes les resources de régions très belles baignées par le solel. Ismaël connait très bien son pays et son historire et sait en parler avec beaucoup d'amour et une grande sagesse. Il a su me faire faire un voyage extraordinaire ... Merci! TOUR GUIDE RESPONSE: Vous ėtes toujours le bienvenue, je suis trės heureux de te recontrè et travail avec toi et que tu as aimè mes services, on a passè des bonnes moments ensemble. Ismail gave us good information about the historical site in English. He also answered all of our odd questions about Moroccan life. Lassan, the driver, transported us in an up to date SUV with seatbelts. Lassan is a very good driver who took us across the windy mountain roads, round many bends, without my wife feeling sick, which is a real achievement. Ismail and Lassan were courteous and made an effort to find sights of interest for us to see, such as stork nests and signs in the Berber alphabet. TOUR GUIDE RESPONSE: Thank you so much for your visit! I really enjoyed the trip with you. TOUR GUIDE RESPONSE: Thank you very much for your kindness, you are such a great people. We have spent a great time together, I am very happy that your enjoyed your adventurous trip with me. Ismail was a friendly and enjoyable guide and we were so lucky to have him guide us through this World Heritage Site. He knew alot about the history of Morocco and Ait Benhadou and would definately recommend him. TOUR GUIDE RESPONSE: you welcome, you are so great and am very happy that you have enjoyed the trip. I hope to see you again in Morocco. TOUR GUIDE RESPONSE: We spent a very exciting day together through mountains and Berber villages. At least we have enjoyed the beautiful landscapes of the south of Morocco, many thanks to Toursbylocals who connect me with such a very good traveler like Lorraine Marneck. I am very happy that you make home save with a lot of souvenirs from my country. Ismail was outstanding! Ismail made sure that we got a true sense of southern Morocco and its people. The "tour" included drives through the beautiful Atlas Mountains, stops along the way to see local people at work and to eat local food, and a fabulous camel ride into the Sahara desert. We spent the night in a Berber tent and saw both the sunset and sunrise, an absolutely breathtaking exerience. Throughout, Ismail took care of us in every way He was our guide, interpreter and friend. Thank you Ismail!